Our Good Beer Week event lived up to the ‘epic’ session we wanted it to be. It was the single biggest single day event in Good Beer Week’s history – so we’re pretty happy with that – and we can’t be more appreciative of everyone who came along to make the day what it was. The beer flowed willingly, and the ‘Beast Tamer’ – our colab brew with Balter – went down amazingly well. Actually, at 6.9% ABV, it probably went down a little too well! Big thanks to Scotty from Balter for teaming up with Mick to make the beer, and to Stirl, Mick, Drew, and the rest of the Balter crew for helping to make it such a cracking day. Mark Seymour from Hunters and Collectors headlined the entertainment, and he belted out some of his classic tunes, including ‘Throw your arms around me’ which typified the spirit of the day… A group of like minded people, coming together for a few beers, and to throw their arms around a cause, and a group of people who need some support and some hope that one day we’ll find a cure for MND. Not only that, we had Melbourne rock icon, Phil Ceberano, on hand to get his groove on, we listened to Mick Fanning tell all about his terrifying shark incident, we were lucky enough to hear from Brewers Mick and Scotty about what went into making the colab brew, and we got an update on how we can help cure the Beast of a disease – MND – from Cure for MND Foundation patron, Neale Daniher. 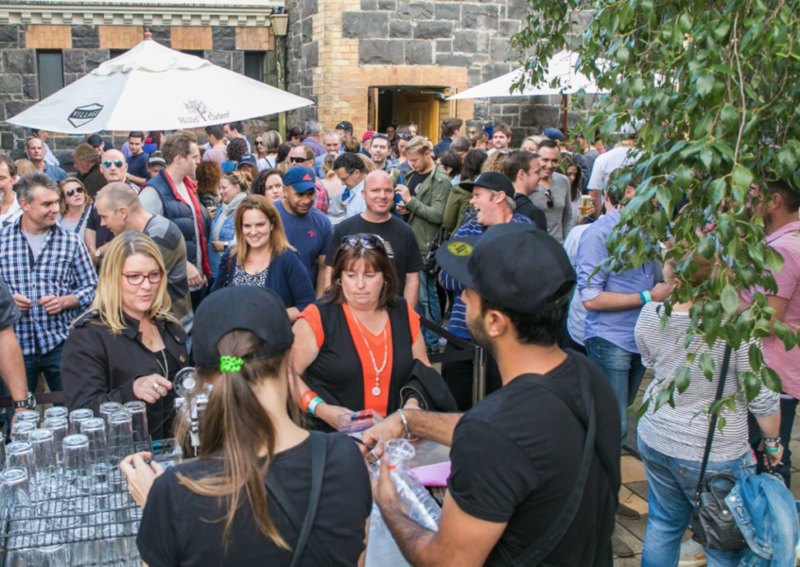 At the end of the day, just by having a few beers and a lot of fun, we were also able to raise a whopping $50,000 for the Cure For MND Foundation. As well as that, we were able to build awareness for the cause through the Herald Sun, C7 Sunrise, and of course through everyone’s social media sharing of the event. What a day… Bring on 2017! Copyright © 2015. Brewmanity - Beer for goodness sake.